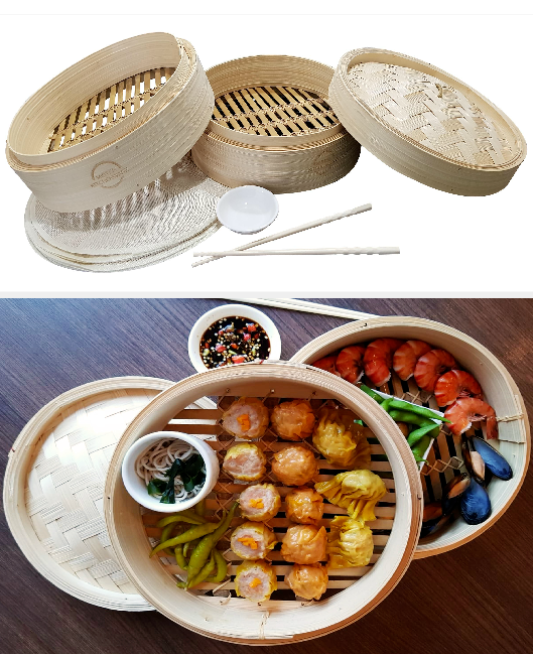 Mister Kitchenware, a trusted kitchenware company, is thrilled to announce the launch of their new bamboo steamers in the USA. This comes with a set of chopsticks, a sauce dish and 10 liners. Bamboo steamers originated in China thousands of years ago and as a result are often associated exclusively with Chinese cooking. 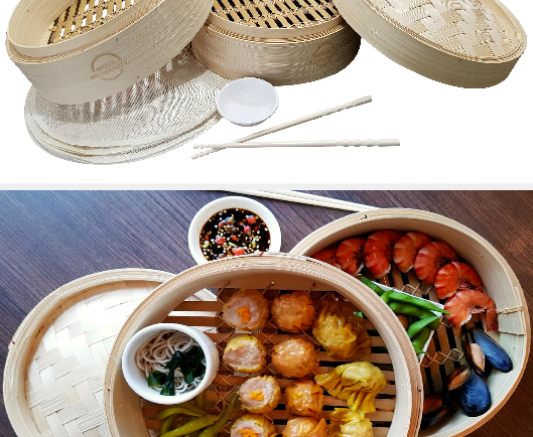 However, the bamboo steamer is more than just a vessel to prepare dim sum. The steamer’s construction makes it a great tool for cooking fish, vegetables and meat. Bamboo steamers are round containers with an open-weave bottom and a domed lid. The open-weave construction allows steam through, while the domed lid traps and circulates the steam. This results in a delicate cooking technique that locks in flavor while keeping food moist and tender. For health purposes, steaming is ideal. Able to cook the food thoroughly and easily without using any sort of fat, oils, or butter, food retains its healthy properties and appears fresh and vibrant. You’ll likely be able to rediscover natural flavors inherent in the food that were otherwise lost or overpowered by other cooking methods and fats. Perfect for fat-free diets, you can steam a cornucopia of low-calorie foods such as fish, vegetables, shellfish, meats, and much more. Not only is using a bamboo steamer to cook your food good for you, it is also good for the environment. Bamboo is frequently proclaimed as the world’s most renewable material: it’s naturally pest-resistant, grows incredibly fast and can actually help rebuild eroded soil. It takes just three or four years to go from seed to harvest and because the root network is so big, you don’t even need to replant – it just shoots right back up again. Mister Kitchenware Bamboo Steamers that come with a set of chopsticks, a sauce dish and ten liners are currently on sale at Amazon. Just key in the promo code “TENOFF2D” and enjoy 10% off for the next 10 days. Be the first to comment on "MISTER KITCHENWARE BAMBOO STEAMERS TO LAUNCH IN USA"